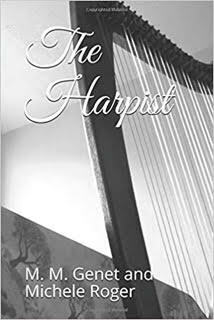 We're fortunate today to have had the chance to speak with the authors of THE HARPIST. MR/MMG: Harpist, Elizabeth O’Toole is a young woman finally feeling as if she’s established her footing in the world. With intense study of music, she’s suppressed her childhood ESP, which shunned her from her family. She plays with an orchestra, shops high fashion in discount vintage stores and just about the time she feels she can exhale; the hauntings begin. Elizabeth has to learn to embrace the very thing that nearly destroyed her to save herself, an innocent victim/ghost and the handsome and clever Detective Flannery. MR/MMG: I do believe in the paranormal. A lot of my character, Elizabeth’s childhood experiences are fictionalized versions of real life events that took place in my own life. Fortunately, it didn’t take intense hauntings from an enraged ghost to get me to embrace my connection to the paranormal and spirit world as an adult like it did for Elizabeth. SC: That's a good thing! What titles are you working on now that you can tell us about? When she’d finished, it was Mike’s turn to blush ever so slightly as he stared at the marble tile that met the end of his shoe. Maureen busted out in a fit of tipsy laughter. “You’ve lost this one, Your Honor. Better give them what they came here for.” A few minutes later, Mike and Elizabeth were standing outside in the crisp, early evening air, empty handed. “If only I’d known you back then. I could have hired you to be my body guard.” They both smirked. “Drive me home?” she asked. “I just bested your father and you expect me to buy you dinner? I hate to tell you this, but you’re kind of bad at this,” she teased. “My redeeming qualities make up for it,” Mike argued. Without answering, Mike put his hand on the small of her back and pulled her towards him. He brushed the wisps of her hair blowing in the crisp air. Before Elizabeth could worry if Judge Flannery was watching from the full length window, Mike leaned in and kissed her. She returned his kiss; feeling the heat travel down her neck as her heart raced. They kissed until they both pulled away, slightly breathless. “I’ve never been much for faith and redemption but you might just make me a believer,” Elizabeth swooned. 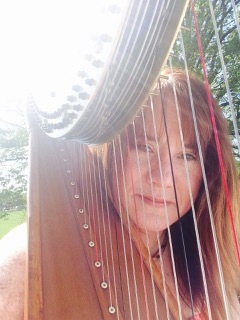 Michele Roger is an author and harpist. 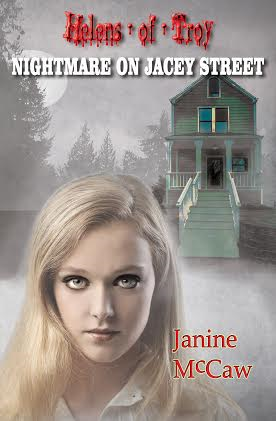 She is published under different pen names for her work in horror, children’s literature, non-fiction and Food and Travel. When she isn’t writing or promoting a book, she performs as a harpist.